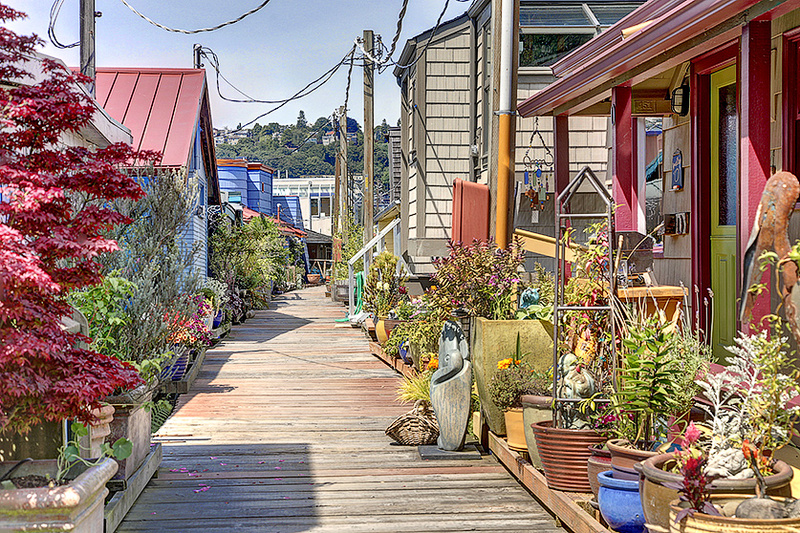 Seattle Houseboats: What A Difference A Few Weeks Makes In The Floating Home World! Wow! What a difference a few weeks makes for Seattle houseboats. If you want to go back and review my Seattle Floating Homes Market Report from September, then please do so. 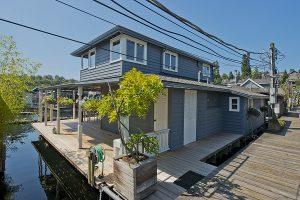 In the course of three days in the first week or so in October, four Seattle floating homes went pending and one closed in escrow! There are only five Seattle floating homes for sale currently and only 2 of those are under $600k. 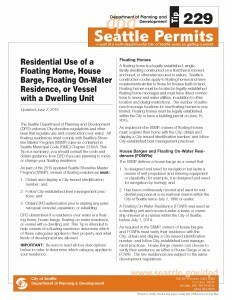 Pending in the MLS: There are 5 pending Seattle floating homes per the NWMLS. These Seattle houseboats range in price from $345,000 to $1,300,000. 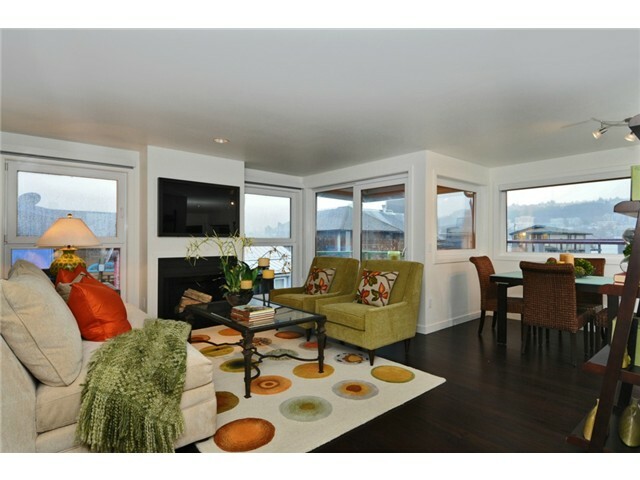 Seattle houseboats SOLD: 2369 Fairview Ave E #2 has closed in escrow! 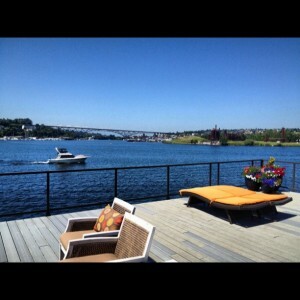 This is a luxury floating home on the high end Fairview Landing dock. It was listed for $2,950,000 and had a final sales price of $2,850,000 (96.61% sales price to list price). The home is a 3 bedroom 1.75 bath 2150 square foot “houseboat” built in 2009. It sold for $1,325.58 per square foot. Seattle floating homes inventory has been the story on Lake Union all through 2012 and continues to be a significant consideration into 2013. 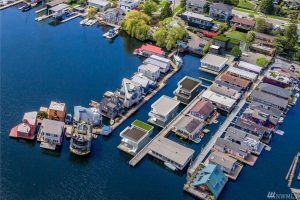 Currently, there are only 4 Seattle floating homes for sale – three of which are in the million dollar plus range. 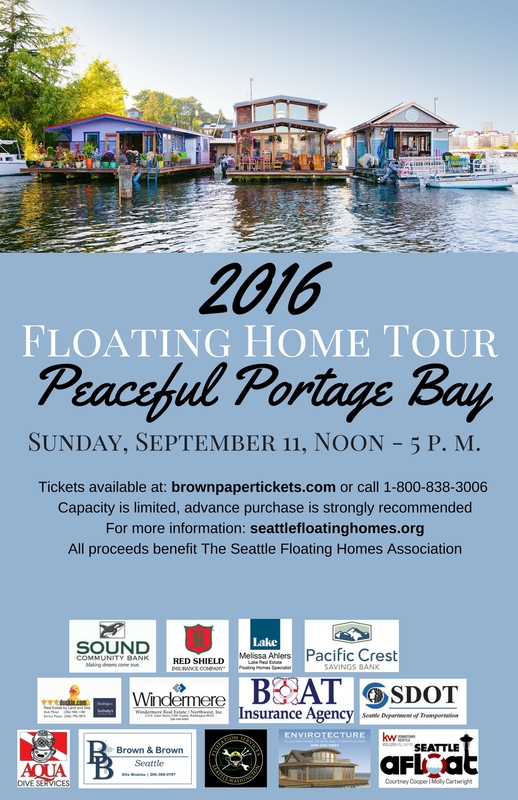 The lowest priced Seattle floating home for sale right now is priced at $499,000 and in the Eastlake neighborhood. 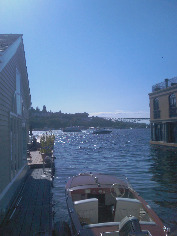 There are two in Portage Bay for sale right now and one on the Roanoke Reef dock in Eastlake. The price on these range from $499,000 for 2331 Fairview Ave E #C to $1,675,000 for 10 E Roanoke Street # 10 – both listed by Cooper Jacobs Real Estate Seattle Floating Homes Brokers Courtney Cooper and Molly Cartwright. There are three floating homes pending inspection or pending right now as well. One is in Portage Bay for just under $500,000, and two are in Eastlake and priced between $475,000 and $825,000. Both of these were on the market for under 30 days demonstrating the demand from current Seattle floating home prospective buyers. One Seattle floating home in Roanoke Reef (#3) has closed in the last 30 days. It was listed for $1,490,000 and sold for $1,357,000. 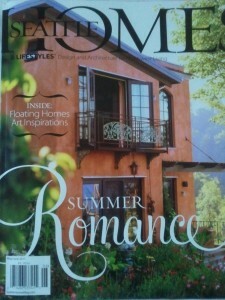 Getting it ready for the houseboat market: One component of a quick sale is proper preparation. 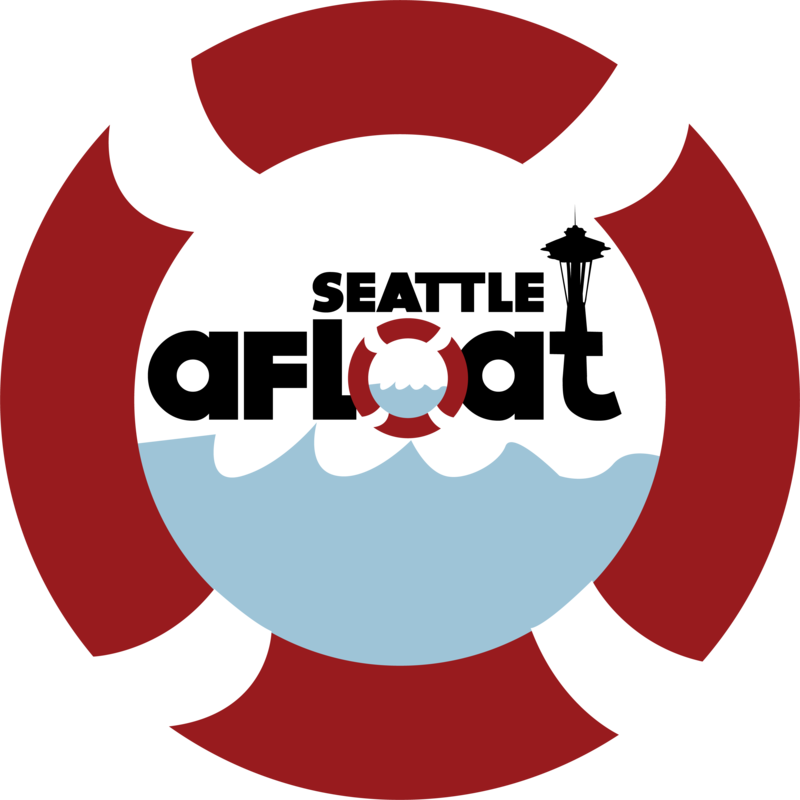 This requires a broker who specializes in not only floating homes, but innovative and creative marketing that is unique when compared to other brokers. Courtney Cooper with help from Molly Cartwright initially listed the floating home located at 2031 Fairview Ave E (Houseboat # E) and the recipe for success was put in place which included a variety of ingredients. A luxury home Stager was brought in and a professional photographer lined up. A housekeeper contributed to the process as well. Cooper Jacobs Real Estate already owns the domain for this dock address (as well as others around the lake) so setting up a website that specializes in the listings that they represent on these docks is an extremely useful tool for consumers when looking for floating homes. We have other sites that we feature our listings on as well as the address site including CooperJacobs.com. SeattleAfloat.com, and many more. 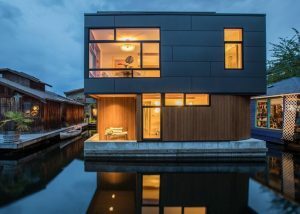 Your Seattle floating home will be found by anyone looking. In fact, they can’t avoid finding it. 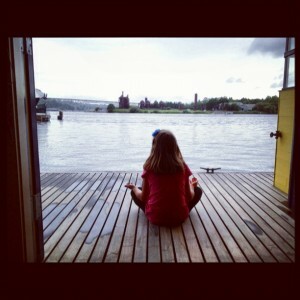 You can reach brokers who specialize in houseboats at houseboats@cooperjacobs.com. If you are interested in learning more about the current market or finding our the value of your Seattle floating home, you can email: homes@SeattleAfloat.com. In addition, here is the full detail sheet of the current 2013 market: Seattle Floating Homes 2013 Market. On 10/30/2012 after 60 days on the market and multiple offers including a back up offer in case the first one failed, Floating Home #1 on the Fairview Landing dock (2369 Fairvew Ave E) closed in escrow and set a new record in recent history for Seattle floating homes and also became a significant placesetter in Seattle luxury homes sales in 2012 as well. Looking at Seattle luxury floating homes? Roanoke Reef Dock (10 E Roanoke): Look for fee simple ownership here! Garage parking, moorgae slips, high end finishes, and many front row slips. Homes in Roanoke Reef range in the $1M to $2M area and currently there is one available (think front row). Fairview Landing Dock (2369 Fairview Ave E): This is a smaller dock with very architecturally inspired beautiful luxury floating homes. Features of dock include condo ownership of your moorage slip, moorage for a boat alongside your home, roof top decks, concrete dock, secure parking, gated entry, basements in some of the homes, and more. Most recently sold homes at 2369 Fairview Ave E were in the $2M range and currently there is one home available on the dock. Wards Cove (2821 Fairview Ave E): Seattle floating homes new construction? This is where you do it! only a few slips left that range from the $600k mark and up…Mallard Cove Dock (2600 Fairview Ave E): Tucked away behind Roanoke Reef, but with fabulous views, parking, bigger floating homes, and moorage slips for boats, Mallard Cove is a primo location on Lake Union. 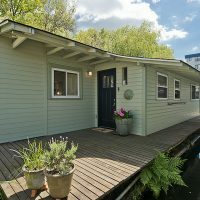 There are some great Seattle floating homes that are currently available for sale. 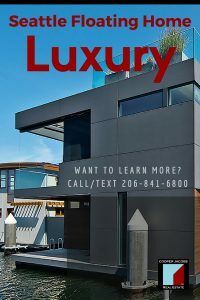 If you are interested in touring Seattle luxury floating homes for sale, please let me know – I am happy to show you all of the available properties. 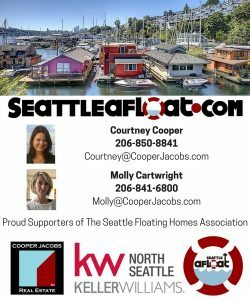 Contact Courtney Cooper at Cooper Jacobs Real Estate courtney@cooperjacobs.com if you have questions about any of the Seattle houseboats FOR SALE.